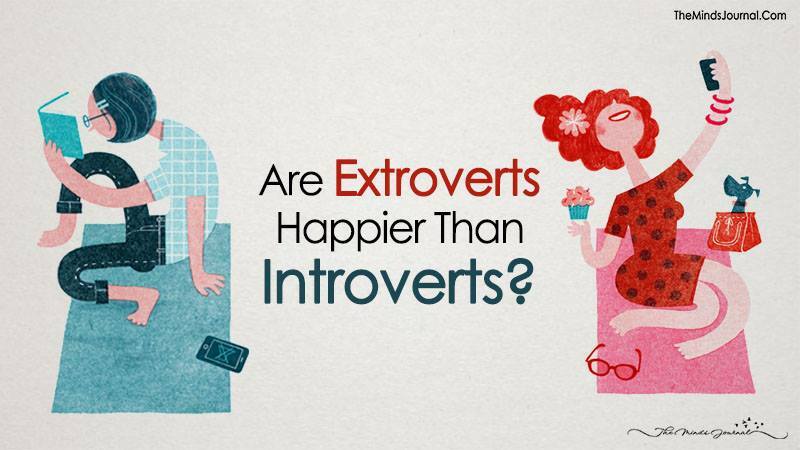 Are you an extrovert that keeps him or her occupied with socializing? Do you feel the need to constantly talk and build bridges? Many of us rarely feel that silence and introversion could be a second nature to most people! We live in a world that celebrates the extrovert and wants to show its social face of being outgoing, talkative and popular. Introverts are labeled as unpopular and reserved, often tested for their meekness and questioned for their silence! Are introverts really unsuccessful people and unhappy in their hearts? Here are some path breaking myths, uncovered! • Studies and research have proved that happiness is clearly dependent on personalities rather than material possessions. A study that looks at the behavior of people internationally found that those who moved about spending their days as an extrovert lead happier lives, in spite of geographical locations and culture. But is this wholeheartedly true? Studies show that introverts have a zeal and vigor in them that propels them to hard work. They rarely give up and are not fazed by outward appearances. Introverts can make a fair difference to their state and economic situation without being dependent on the outside world. • Studies show that there is a flaw in how personalities are measured. Many psychologists focus on the NEO PI-R assessment while they conduct happiness and only focus on the presence and absence of extroverted qualities. The idea is to shatter this misconception and positively evaluate the introverted qualities. As an introvert, you need to identify the happiness you experience while sitting with a book or even browsing the Internet. These could be seen as very boring and labeled as qualities associated with unhappiness. But this is flawed methodology! • Extroverts thrive and get invigorated by being around peers and people and interacting incessantly. They find calm and quiet to be very decrepit! This can be erroneous. Studies show that low key activities can also be a source of happiness! 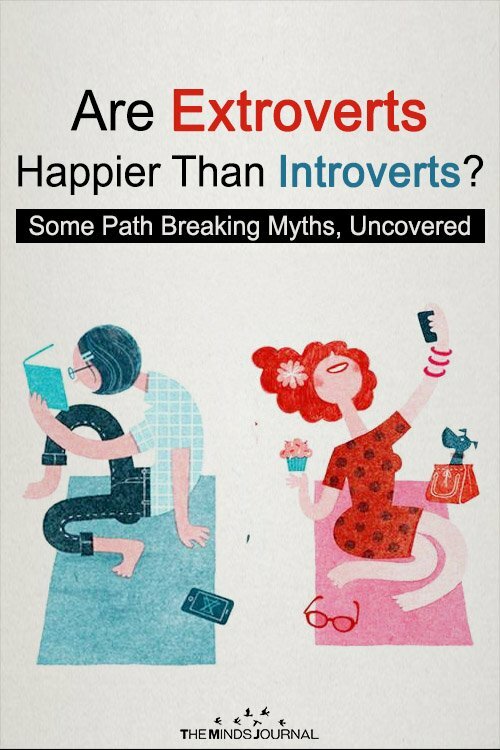 • Extroverts are often celebrated in our lifestyles the world over, introverts are often made to believe that their natural wants and needs are not in cohorts with the outside world. This is faulty! Happiness it is widely believed, as shown in research, is not dependent on your personality type. While interaction is hugely dependent on the way we feel about the world and those around us, it is the quality of interactions that decides how we feel about relationships. Oriental cultures often consider mindfulness and calm, meditation and quiet as important to connect with our inner soul. Reaching inner happiness is important before we delve into social relationships. Happiness is all about accepting ourselves rather than building a reputation socially. It is all about being ourselves and finding a definite purpose while creating a small and finite social circle that endears and endures time and situations. These are crucial in finding happiness in what we do and around us. I call BS! and plus what is your definition of success?? Success to one person can be completely differently defined by another. Regardless if you’re an introvert/extrovert/ambivert/etc…it all comes down to this, Are you a good person to yourself and to others? Are you happy with yourself and who you are at the end of the day? If you can answer YES to those questions then your alot more successful than many other people out in the world today. At the end of your life money, popularity, and material things mean absolutely nothing, it’s how you treated those around you and if you had a decent heart.